Steel workers union leader Kouadria Smain addresses a mass meeting. Rank-and-file trade unionists and the leaders of key regions of Algeria’s largest union federation, the UGTA, have called a rally on Wednesday 17 April demanding the immediate resignation of Federation General Secretary Sidi Said, a staunch supporter of the old regime. Said has already announced that he has no intention of seeking re-election, but activists want him to quit now. 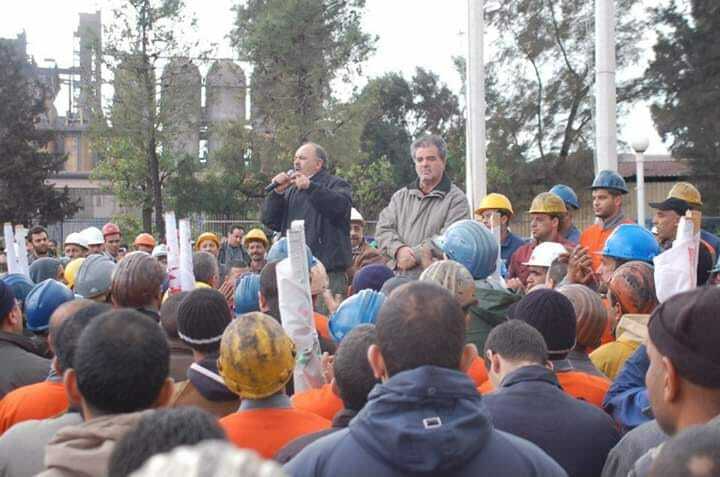 A meeting on 15 April in the UGTA union offices in the industrial city of Rouiba, where workers at the SNVI car factory have played a leading role in strikes supporting the mass movement against Bouteflika, called on the rank-and-file to join a rally 9.30 on 17 April to reclaim the UGTA. 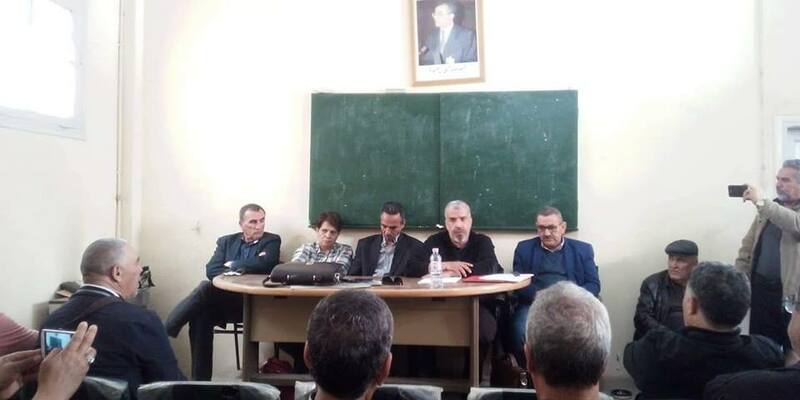 The meeting included regional union secretaries from Saïda, Tlemcen, Tizi Ouzou, Béjaïa, Ouargla, members of the UGTA National Executive from more than 21 provinces, and representatives of the National Federation of Workers in the Mechanical, Metal, Electrical and Electronic Industries. April 16, 2019 in Algeria.